Would you like to be added to our mailing list for future events and updates? Unlimited available	 Early Bird Tickets - through April 21st $10.00 Sign up early to hold your seat and save on your ticket to our next luncheon. 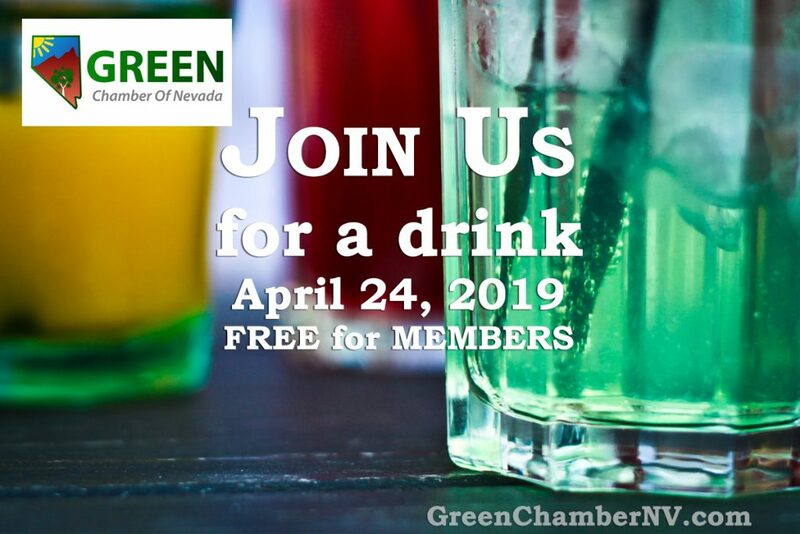 The Green Chamber Of Nevada is pleased to announce our May luncheon event with long time GCNV friend and partner, Jared Fisher at the Las Vegas Cyclery. Pedal your way on down to the Las Vegas Cyclery for lunch, networking, and a topic like no other. Jared, and the Las Vegas Cyclery team will be helping to educate us about these topics that our members are most interested in. Following a short presentation, Jared will open the floor for questions, time permitting. Jared moved to Nevada from Connecticut in 1990 with a few personal items, a bike, and a dream to go to UNLV and start his own business in hospitality. In his second year of studies at UNLV, he married his best friend Heather, and together they started a successful Nevada-based tour company from a UNLV student marketing project. Their original 1992 mission to promote human power and the natural environment is now the basis of three bike shops and a tour company as well as other related businesses. His professional career is dynamic, innovative, and comprehensive. His business title is “Director of Everything”. Jared’s business. Escape Adventures, is known nationally as a leader in the bicycle tour industry. Additionally, he has built LEED Platinum and Gold commercial buildings, and worked extensively within the 11 western states with the Bureau of Land Management, National Park Service, US Forest Service, State Parks and state government agencies. They have received numerous awards for their commitment to sustainability and best business practices. More recently, Jared was a candidate for Nevada Governor in the 2018 election and was on the forefront of many policies dealing with Nevada’s constituents. Part of his campaign included riding a mountain bike more than 2500 miles throughout the state on three different occasions covering 24 days. You may see his website at FisherForNevada.com. Thank you to the team at Exclusive Chefs for creating inspiring, nutritious, and delicious meals. This month, as in all months, a vegetarian option will be developed, perfected, and made available to our members and guests. They work hard to ensure that everyone leaves full and happy at all of our luncheon events. Our raffle is created from the members and guests that come to attend our events. Bring a raffle prize of your own choosing, or ask one of our board members to learn more about the most popular prizes and how to get your hands on them. We ask each raffle prize have a minimum value of $20. These prizes, along with merchandise from the Green Chamber Of Nevada store will be included in the auction. Everyone with a prize will be asked to also tell us more about their organization, initiatives, or mission, and pick from the purchased tickets. All paid tickets include a raffle ticket. Additional raffle tickets may be purchased at the door with cash or credit. Ticket costs are $1 each, you will receive 6 tickets for $5, 12 tickets fro $10 and our best value is 25 tickets for $20.